It's back! 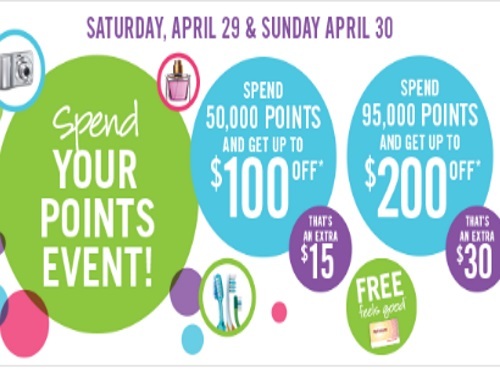 Wondering when the next Shoppers Drug Mart Spend Your Points Event is? This weekend! Use those Shoppers Optimum Points that you've been collecting to get free stuff! Offer is valid Saturday, April 29-Sunday, April 30, 2017.